This pregnancy has completely surprised me every single step of the way. My body has made sure that I never know what the heck is going on. From conception, to extreme pain at only 8 weeks pregnant, to having to shorten my work days very early on and then stop working nights and going on “desk duty,” then a week long scary admission, modified rest, 2 full rounds of steroid shots, 2 more admissions and countless other hospital visits. Even the fact that my aortic root has not changed in diameter has surprised me. Everyone was sure I’d have a baby by now and yet here I am, still very uncomfortably pregnant with a strong, active, healthy baby. In truth I had hoped to have delivered by now, the last two weeks I’ve been doing a lot to try and encourage it along. Nothing like taking potions but doing a lot of organizing and moving boxes up and down stairs, pushing my body to it’s limits urging and begging it to just get things going. Yet at my weekly appointments there has been no change to my cervix. Still, as uncomfortable and impatient as I’ve been it’s also been a blessing. I’ve had enough energy to get some things done before babe comes. I’ve set up a mock nursery in our master room – using the bathroom counter and cupboards for a changing station and our huge closet as a nursing station. It’s a temporary fix until we get a chance to move our current office into the basement and transform that room into a big boy room for Ezekiel. I also did a bunch of organizing and cleaning in the basement in preparation for Carlos’ first son to arrive just a few days after the baby does. It’s a crazy month around here and I’m happy to have gotten those things out of the way. Also Ezekiel has been pretty attached at the hip this weekend and we’ve had a lot of time to cuddle and have lots of conversations about the baby. I don’t think the transition is going to be as difficult as it could have been had the baby been premature and having to spend a lot of time in the hospital. We’ve talked about things we’ll be able to do once baby arrives, how baby is actually going to arrive (thank you c-section for the easy conversation! ), how the baby will eat and how he can help with the baby. He’s incredibly excited and daily takes note of my belly and talks to the baby. It’s been so sweet and wonderful to watch him grow in understanding and excitement of my pregnancy. I’m excited that I will probably have a relatively short admission and that most likely I will be able to come home with my baby in my arms. There is a very small chance that babe will need to be monitored a bit more closely due to the medications I’ve been on during pregnancy but I don’t think it’s actually going to be a problem. I’m really excited to get this babe home and establish some new routines. Instead of dreaming and planning I’m ready to start implementing. I never once thought that I’d ever see 38 weeks in any pregnancy and I’m counting this as a miracle. 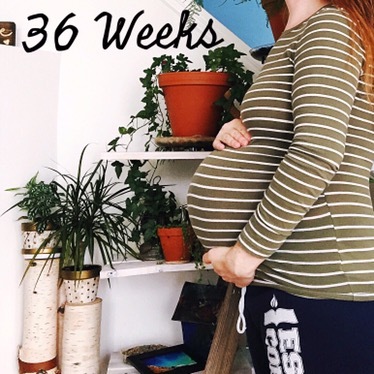 It’s a nice consolation that I know I’ll never see 39 weeks! This is the week we meet our second miracle baby and we are beyond excited. If you were to ask anybody – friends, family, all the medical professionals involved in my care – I doubt you would find anyone who could have imagined I would make it this far in my pregnancy. It truly is such a blessing! This pregnancy has been the very opposite of easy, but every single step of the way from conception to today has been miraculous. It’s this fact that has carried me through without mentally hating every single second. My body has fought against this pregnancy in a lot of ways but I owe it so much for protecting this miracle baby of ours. I am at ease now, knowing that I will most likely be able to take my baby home when I leave the hospital instead of leaving it there to be cared for by doctors and nurses. Despite all my gratefulness, I’d be lying if I said I wasn’t ready for it to be over. The last few weeks have been difficult. My pre-term symptoms are increasing – most days I’ll have about 50 contractions and some sort of cramping along with it. Recently the contractions have increased in intensity and I think my body is preparing itself for the big day (little does it know that all control of getting this baby out is going to be taken away from it!). Half of the days I have really great mornings – like today I got up and felt pretty good – I baked, did laundry and planted some more seeds for this years garden but by the afternoon I am wiped and beyond exhausted. The other half of the days I feel awful for most of the day and night. The exhaustion is similar to my first trimester where I just can’t fathom getting up and doing anything productive. So most days I spend at least half of it in bed resting. 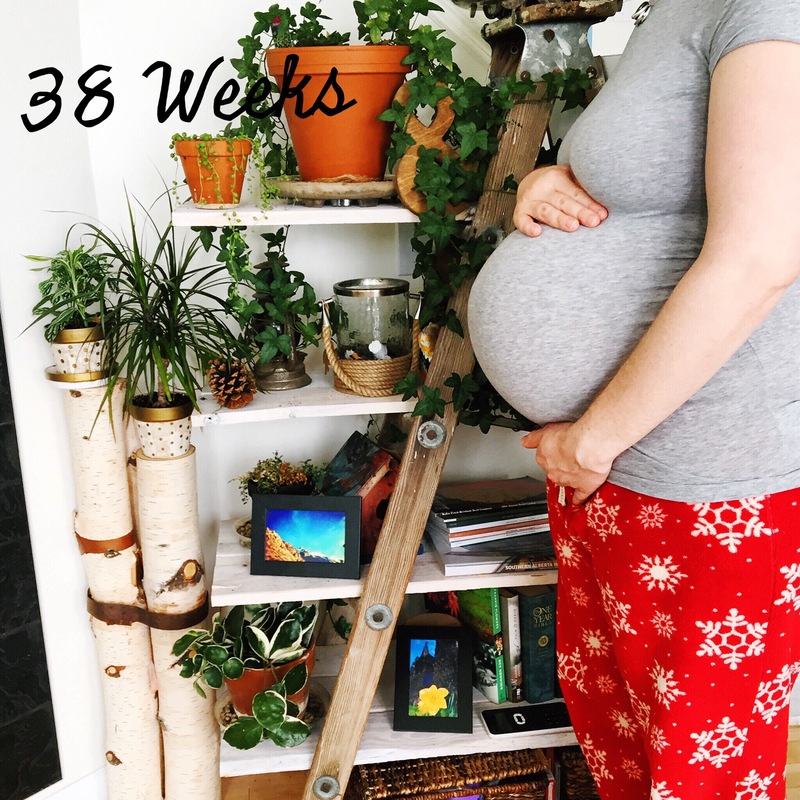 I’m doing a lot more than I was before 34 weeks. I now lift my toddler if I need to, I carry the laundry up and down the stairs, I walk the grocery store instead of using their electric wheelchairs, I cook supper and do a lot of baking. It’s a start but it’s still not normal life yet. I can only tolerate a little of each before I need to sit down and rest. The extra weight paired with the extra relaxin makes my body ache more and more each day. The baby is uncomfortably low making standing and walking fairly difficult. There is just so much to look forward to once this babe makes an appearance. Of course I’m also keeping myself in check and being realistic to the fact that I will be having a c-section and will definitely need to rest for a couple weeks before being able to even begin to transition to some sort of normal. I think one blessing of being on modified rest, is that it has taught me how to slow down and take it easy when I need to. It’s broken my “super-woman” mentality and need to prove anything (mostly to myself and no one else). It’s taught me to know when enough is enough and it’s stopped me from pushing myself farther than I need to. All these things will come in handy post c-section when I feel the urge to clean my house 7 days after a major surgery. So, I’m still here and still pregnant, anxiously waiting for a clear sign that it’s go time!